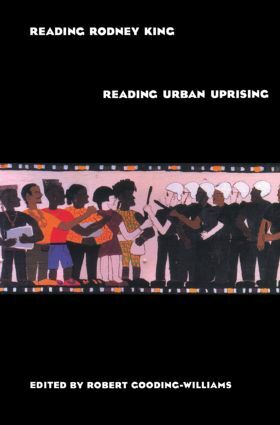 Reading Rodney King/Reading Urban Uprising keeps the public debate alive by exploring the connections between the Rodney King incidents and the ordinary workings of cultural, political, and economic power in contemporary America. Its recurrent theme is the continuing, complicated significance of race in American society. Contributors: Houston A. Baker, Jr.; Judith Butler; Sumi K. Cho; Kimberle Crenshaw; Mike Davis; Thomas L. Dumm; Walter C. Farrell, Jr.; Henry Louis Gates, Jr.; Ruth Wilson Gilmore; Robert Gooding-Williams; James H. Johnson, Jr.; Elaine H. Kim; Melvin L. Oliver; Michael Omi; Gary Peller; Cedric J. Robinson; Jerry Watts; Cornel West; Patricia Williams; Rhonda M. Williams; Howard Winant. Uprising and Repression in L.A.